It has been fully safety checked and serviced, comes with a warranty and is available for immediate delivery. . We offer aggressive financing rates and terms for all credit levels creating a seamless and easy purchase experience. Do not hesitate to contact John at 9788040263 with any questions and or to schedule an appointment and thank you for your interest.. Please visit our website at drumhillautos.com to view additional inventory. 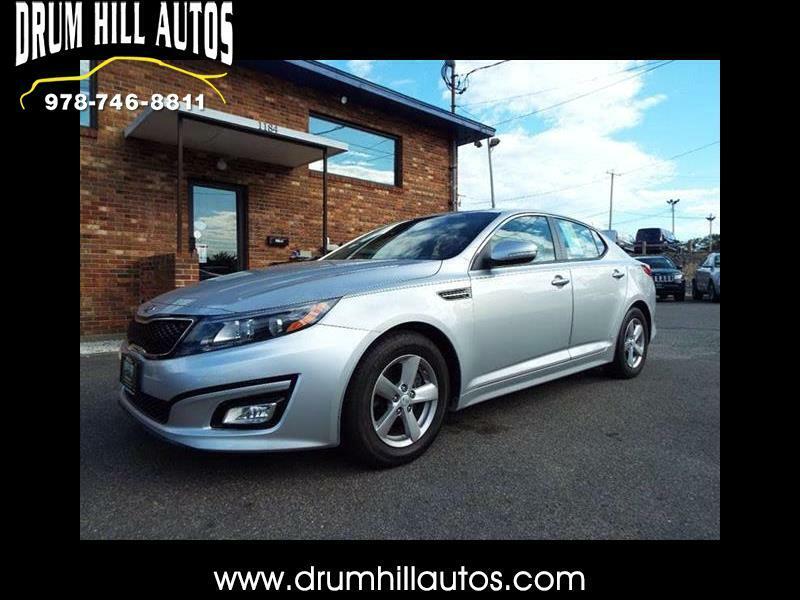 Visit Drum Hill Autos online at drumhillautos.com to see more pictures of this vehicle or call us at 978-746-8811 today to schedule your test drive. Message: Thought you might be interested in this 2015 Kia Optima.